Given his record and history, that title is no exaggeration. This is, after all, the genius who created Rock ‘Em, Sock ‘Em Robots (Marx), a toy you will still find in stores today, decades after its creation. But from 1960 to 1963, working with Ideal Toy Company, Glass designed three of the greatest sci-fi/fantasy toys of the decade. First up is 1960’s Mister Machine. This styling robot is eighteen inches tall, wears a top-hat, and is composed of visible gears. Replete with a wind-up key in his back, Mr. Machine was sold with 44 pieces and a wrench so that kids could take apart and rebuild this cheery-looking machine. 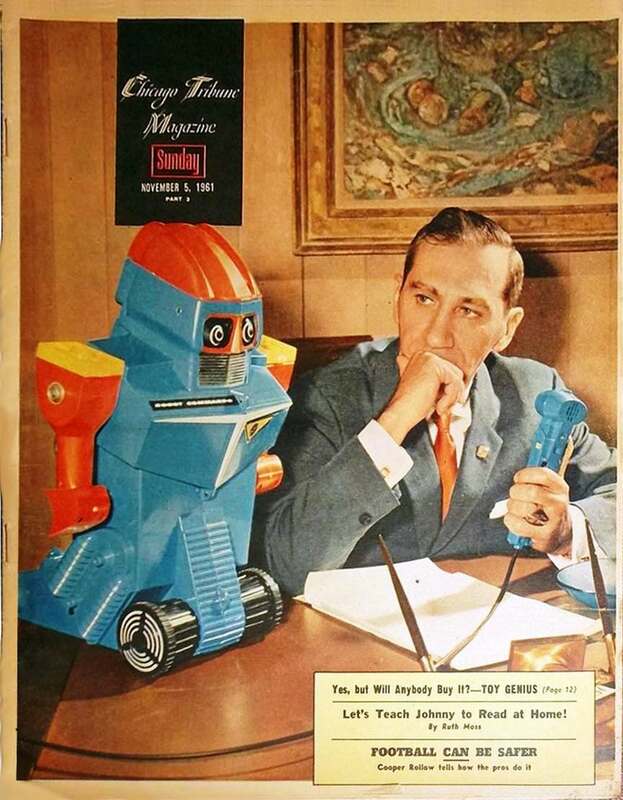 Then in 1961 arrived Marvin Glass’s fantastic and legendary toy robot: Robot Commando. Standing nineteen inches high, this robot can be issued orders through a wired remote and microphone. Robot Commando also fires a rocket from his skull and has rotating arms. Amazingly, his bug eyes also move about in circles. Feast your eyes on the commercial for Ideal’s Robot Commando. Third, but just as unforgettable is 1962’s King Zor. This fighting dinosaur from the mind of Mr. Glass could free-range it about while kids fired their dinosaur gun at it. Zor had an extendable tongue, and came with five missiles, five darts, and the aforementioned dinosaur gun. It was also quite large. 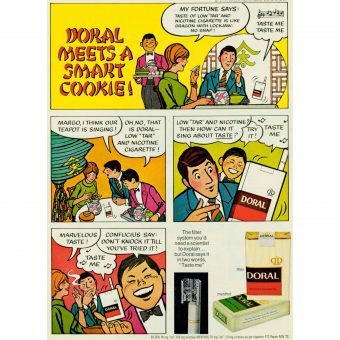 Finally, a last, great Marvin Glass toy, but one not sold by Ideal. For Marx, this famous designer crafted a proto-Godzilla kaiju monster called The Great Garloo. This green beast stood a whopping two feet tall, and could move, stop, pick-up items, and even turn around. 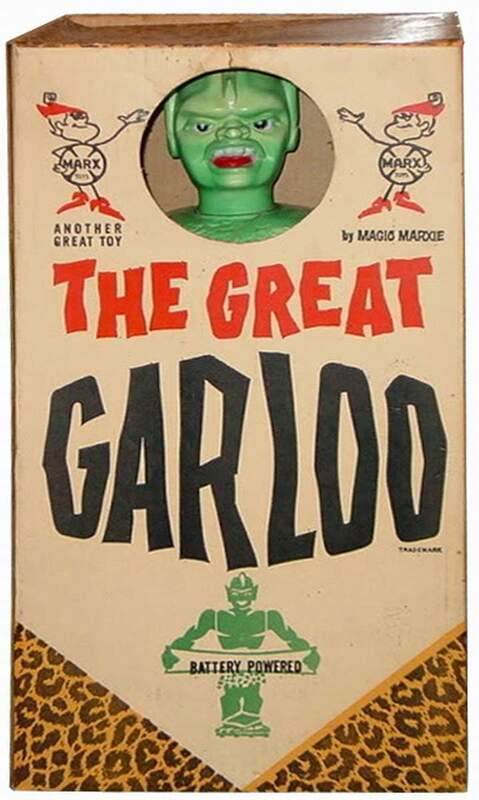 Garloo was “mighty” but also the “faithful servant” of it (child) masters.